Get inspired in Siskiyou! One of our region’s most fascinating features is our majestic mountains. Many believe Mt. Shasta is one of the most sacred places on Earth. The “Magical Mountain” is part of the Cascade Range and is truly one of the best views in Siskiyou. Just like Mt. Shasta, the City of Mount Shasta is filled with spirituality. Here is a list of divine shops around town worth visiting. You may even find that perfect holiday gift you’ve been looking for! At Soul Connections, you’ll find one-of-a-kind, handmade quality items from around the world. They focus on making “New Age & Spiritual” pieces for everyone. There is so much to see and experience at the store including crystals, jewels, energy stickers, stones, books, and much more. It’s a must-stop shop the next time you’re in town! Visitors rave about The Crystal Room and say it’s healing just walking through door. Here you’ll find beautiful crystals and minerals from all over the world. From Lemurian seed crystals to magical gemstone jewelry, they offer a variety of tools for healing and museum-quality specimens for your home or workplace. Sacred Seed Crystals is known best for their beautiful rocks. 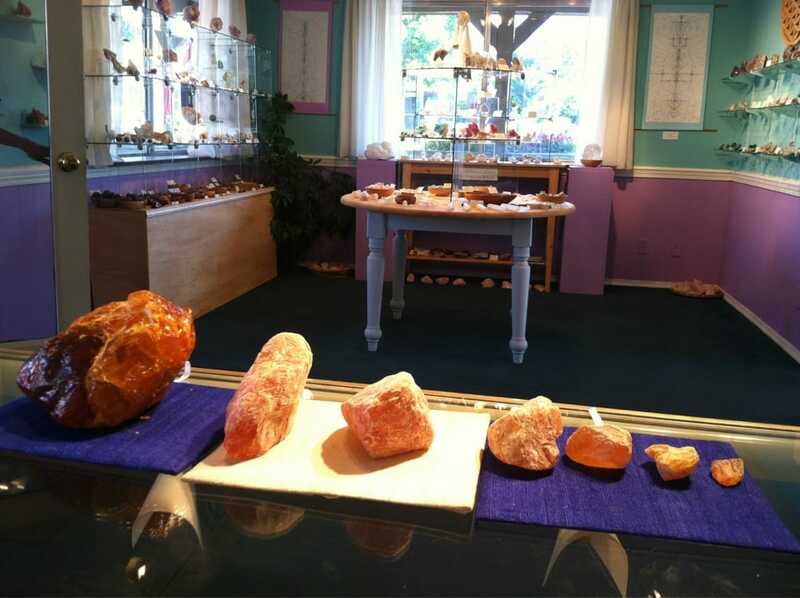 Every crystal at the shop is given a blessing in pristine Mt. Shasta Spring Water and is anointed by the mountain. Visitors say the selection here is incredible and there is great energy throughout the store. Let your sacred journey begin! Your crystal companion is waiting for you at Crystal Wings Bookstore! Here you’ll find authentic Vogel crystals along with many other powerful tools for healing and transformation. The shop is also the exclusive distributor of ruby lavender quartz. Namaste! The Shambhala Center is a truly unique shop in Mount Shasta. Founder Susan Isabelle is the keeper of the 13th Crystal Skull of the Maya, the Real “Indiana Jones.” Her store is full of treasures including angel pieces, cards, books, clothes, stones, crystals & gemstones, jewelry, candles, crystal skulls, home décor, and healing music. Visitors say you’ll find knowledge, guidance and beauty here. 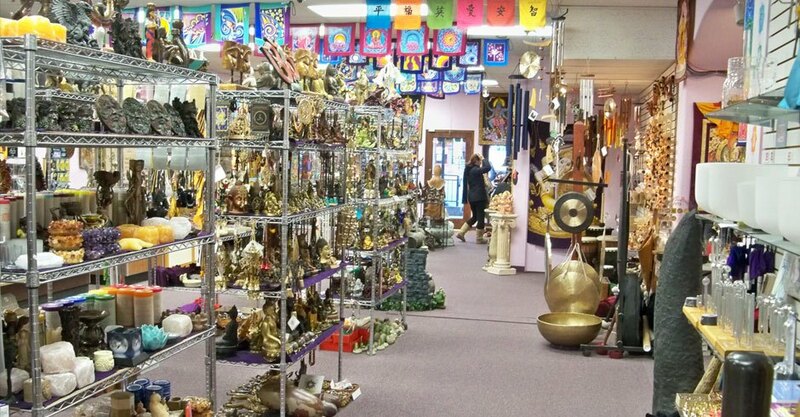 These are just a few of our favorite spiritual shops in Mount Shasta. Several of them also offer meditation classes, workshops and much more. Book your trip to California’s north today and find your spirituality!